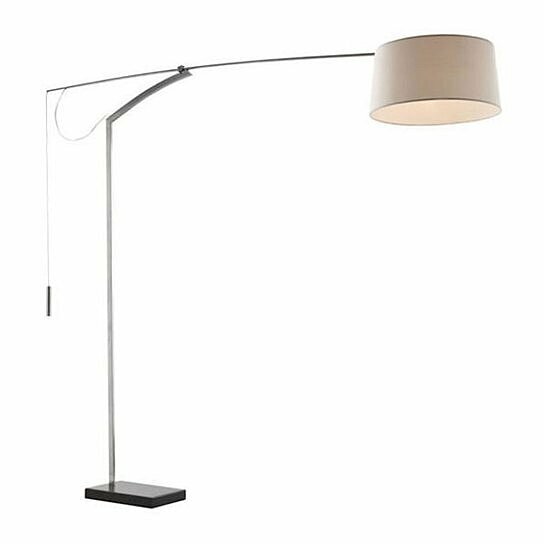 The Blazar floor lamp has a classic yet seductive shape. It has an iron finish and features an adjustable arm. It is UL approved.